Earlier this week I was very excited & humbled to be given a Blogger Recognition Award from the lovely Nandyz Soulshine.To know that other people are reading & appreciating my writing means the world to me. So firstly a huge thank you! It’s exciting & validating to be nominated. Somebody on the internet likes me! I love the way these awards help bloggers connect & learn more about each other. It also gives us a framework to help us give each other a boost. The internet can be a cold place & I’m so thankful for the support of the blogging community. Thank the blogger who nominated you & provide a link to their blog. Give a short story on how/why you started your blog. Let the bloggers know that you have nominated them & provide them with a link to the post you created. Why did I start blogging? or why do I blog? are questions that over a period of time i have been asked by people. Sometimes I have even questioned myself about why do I actually blog. I haven't actually been blogging for that long I'm still technically a 'newbie' in the blogging world, I started MummyInTheMadHouse beginning of February 2017. Starting a blog for me was one of the best decisions I have ever made – for myself. 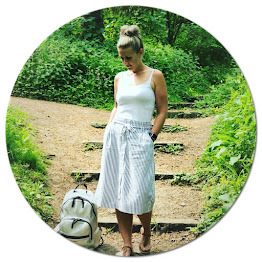 In the months before I started MummyInTheMadHouse, I was going through a really rough time I had just had my little Isaac & although I was a happy proud Mummy (again) – I felt anxious constantly. I got caught up in life as mum of 3 children & I completely lost myself, my confidence was so low and despite being surrounded by amazing friends and supportive family I felt really isolated. 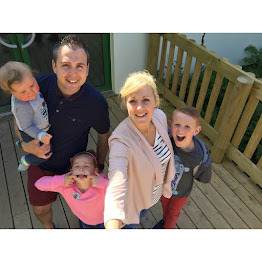 It was at this time I started reading blogs, I think it’s quite normal practise for mums with a new born to just google everything & on doing this I discovered blogs with mum’s going through the same things, it was great. I became a regular reader, the community around blogging always appealed. I could see these mums supporting each other and I wanted in! One day I thought to myself – why don’t I do this? Baring in mind my confidence wasn’t all that high it was a big step for me & I did it, and I'm so glad I did! I also love writing & I needed a creative outlet to keep myself sane from the craziness that is my life & to stop my brain from turning into a mummified mush. Blogging allows me to do just that. Passion– Be passionate about the content you blog. If you are not then how can your readers be passionate about what they’re reading? When reading posts, you can really tell if people have a real interest about the topic they’re writing about or whether it’s all made up. If you’re passionate about a specific topic or subject then it really shines through, it gives you post ideas and you can grow your audience easier. Blogging about something you’re passionate about also makes it easier to think of post ideas! Networking- Use social media platforms to engage with more followers. Set up accounts on Twitter, Instagram, Pinterest & Facebook. Also another bit of advice that I would give to aspiring bloggers is to communicate and engage with other bloggers. This allows you to build readers/followers, create friendships and possibly find people to collaborate with. It’s important to share the love and recognise other people’s hard work! Would you like to have a chance to be nominated? Leave a blog comment with your blog URL for consideration. The winners will be announced on:- Thursday 25th May 2017.